It’s true, unlike traditional gerberas, you really can grow these revolutionary varieties outdoors (they’re hardy to -5 degreesC). The classic, daisy-like blooms look great partnering summer annuals, but are equally stunning in a vase indoors! Height 35cm (14). TIP: Gerberas now in the garden! They flower profusely – often several long stems simultaneously. 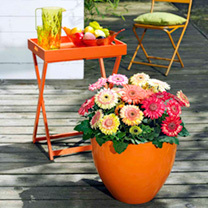 SAVE Â£5.99 on this Collection containing 6 plants (2 of each variety):Fleurie – Eye-catching crimson red flowers.Summer – Glorious golden yellow flowers.Orangina – Zesty mandarin-orange blooms. 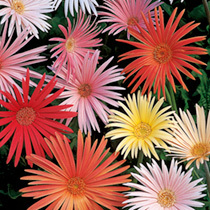 Gerberas have been a favourite for decades, and their popularity continues to grow. Today, they are one of the five most popular flowers (behind roses, carnations, chrysanthemums and tulips). 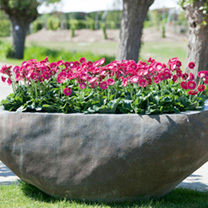 They’ve become a multi-purpose plant, and are coveted for containers, bedding schemes and cut flowers alike. This new gerbera has been awarded a FleuroStar award by Fleuroselect, the international organisation for ornamental plants. It is the first true semi-double bicolour gerbera for pots, producing supersized flowers in a broad range of colours, ensuring that it will create a real wow factor in your pots and containers. Height 20-30cm (8-12). Each plant will produce different shades of colour. It’s true, unlike traditional gerberas, you really can grow these revolutionary varieties outdoors (they’re hardy to -5 degreesC). The classic, daisy-like blooms look great partnering summer annuals, but are equally stunning in a vase indoors! Height 35cm (14). 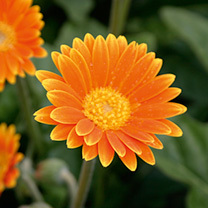 TIP: Gerberas now in the garden! They flower profusely – often several long stems simultaneously. 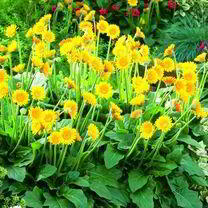 Summer – Glorious golden yellow flowers. It’s true, unlike traditional gerberas, you really can grow these revolutionary varieties outdoors (they’re hardy to -5 degreesC). The classic, daisy-like blooms look great partnering summer annuals, but are equally stunning in a vase indoors! Height 35cm (14). TIP: Gerberas now in the garden! They flower profusely – often several long stems simultaneously. Fleurie – Eye-catching crimson red flowers. It’s true, unlike traditional gerberas, you really can grow these revolutionary varieties outdoors (they’re hardy to -5 degreesC). The classic, daisy-like blooms look great partnering summer annuals, but are equally stunning in a vase indoors! Height 35cm (14). TIP: Gerberas now in the garden! They flower profusely – often several long stems simultaneously. Orangina – Zesty mandarin-orange blooms. Stunning flowers with slender silken petals. Beautiful summer pot plants, and good for cutting. Exotic-looking daisy-like flowers. HHP – Half hardy perennial. Height 45cm (18).